Pamela Daley is senior vice president at General Electric. She earned her AB degree from Princeton University and graduated first in her class from the University of Pennsylvania Law School, where she was editor-in-chief of the Law Review. Before joining GE, Pamela was a tax partner at Morgan, Lewis & Bockius and an adjunct professor at the UPenn Law School. Pamela joined GE in 1989 as tax counsel and was VP and senior counsel for transactions from 1991 to 2004. In 2004, she became VP-corporate business development and was promoted to her current position in 2005. 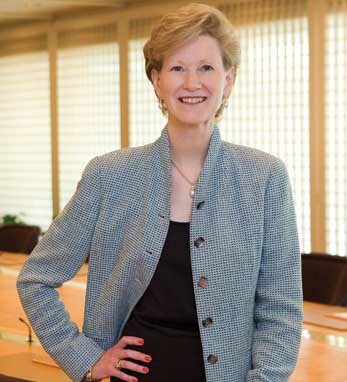 She is responsible for GE’s mergers, acquisitions and divestiture activities worldwide. Pamela serves on the boards of General Electric Capital Corporation, GE Capital Services, Inc., and the GE Foundation. She is a member of the boards of UPenn, the UPenn Law School and The Juilliard School. She is a past director of the World Wildlife Fund and is a member of its National Council. She is a third-generation Irish American with roots in Meath on her father’s side.